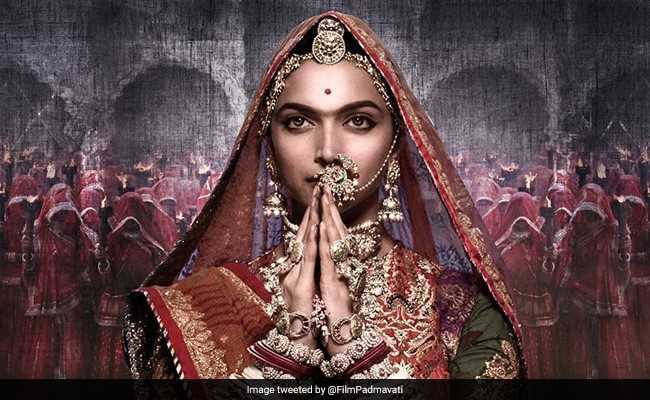 Rajasthan among first states to announce a ban on "Padmavat"
Padmavat, cleared by the censor board and expected to hit the theatres on January 25, will not be screened in Rajasthan, the state's Vasundhara Raje government asserted today, citing public sentiment. "Queen Padmini's sacrifice is deeply linked to the state's glory and honour, she is not just a figure in history for us but a symbol of our pride. We will not let her dignity be tarnished at any cost," said a statement from the Chief Minister's office this evening. Rajasthan was among the states that announced a ban on filmmaker Sanjay Leela Bhansali's period film last year amid fierce protests by Rajput groups. The groups had objected to the depiction of their legendary Queen Padmini and alleged a distortion of history, even though experts are divided over whether the queen's story is fact or legend. The Rajput Karni Sena, which led the protests, has threatened to vandalise cinema halls screening the movie, despite the censor board's go-ahead. "The Chief Minister banned the film's release a long time back in Rajasthan. The film will not be shown here. Our department has received the letter on this and we will follow the order," Rajasthan Home Minister Gulab Chand Kataria told reporters. The costume extravaganza was set for release on December 1 but was stalled by protests that spread to many states. Gujarat, Madhya Pradesh, Uttar Pradesh, Bihar and Maharashtra also declared they would not allow the film. On December 28, the Central Board of Film Certification (CBFC) cleared the film with a U/A certificate, but called for modifications, including a change in the name from "Padmavati" to "Padmavat" - the title of Malik Muhammad Jayasi's epic, which is believed to be the source of the film - and a disclaimer on historical accuracy. After announcing the decision, Censor board chief Prasoon Joshi said the producers and director of the film were "completely in agreement" with the changes. The film, starring Deepika Padukone, Shahid Kapoor and Ranveer Singh, depicts the story of Rajput Queen Padmini, who, according to legend, preferred to die to protect her honour rather than submit to Delhi's Sultan Alauddin Khilji, who was said to be obsessed with her beauty. Before taking a decision, the censor board set up a special panel of historians and members of royal families in Rajasthan, who watched the film and suggested changes.